Veteran Palestinian activist Bassem Tamimi was recently named as the main plaintiff in what Al Jazeera described as an “ambitious $34.5bn lawsuit” that targets prominent pro-Israel donors and organizations in the United States. According to one media report, Martin McMahon and Associates, the law firm representing the plaintiffs, has denounced support for Israel as “encouraging and funding wholesale violence and arms trafficking abroad,” claiming that the defendants are complicit in “comprehensive war crimes in order to advance their own political agenda — getting rid of all non-Jews in the OPT [Occupied Palestinian Territories].” However, the Al Jazeera report indicates that the lawsuit may well be just a cynical ploy to attract publicity, because the plaintiffs and their lawyers have reason to feel that “there is great potential to be exploited here.” Indeed, the fact that Bassem Tamimi was chosen as the main plaintiff perfectly illustrates the cynicism of this undertaking. Bassem Tamimi has long been one of the most prominent members of the Tamimi clan that dominates the village of Nabi Saleh near Ramallah in the West Bank. Three years ago, the Tamimis were featured in a New York Times Magazine article written by a journalist who stayed with Bassem Tamimi’s family for three weeks and who then tried his best to evoke sympathy for the Tamimis’ ambition to start a “third intifada.” As I have shown in a comprehensive documentation, the Tamimis have never made a secret of their conviction that the Palestinians have “the right to armed resistance,” and they have consistently refused “to forswear bloodshed” or condemn terrorism. It is thus hardly surprising that family member Ahlam Tamimi – the unrepentant mastermind of the 2001 Sbarro pizzeria bombing in Jerusalem that killed 15 civilians, including seven children and a pregnant woman, and wounded 130 other people – remains “much-loved” in Nabi Saleh. In their activism and particularly on social media, the Tamimis continue to promote “resistance” and terrorism as well as intense Jew-hatred. Last fall, Bassem Tamimi toured the US, supported by various anti-Israel organizations and Amnesty International. His tour attracted considerable criticism after he shared a blatantly anti-Semitic post on Facebook, and there was also great concern when it became known that local anti-Israel activists had invited him to lecture students at an elementary school in Ithaca. By now it is clear that Tamimi obtained the US visa for this tour illegally, because he concealed arrests and convictions for his determined efforts to start a “third intifada.” When this discovery resulted in the revocation of his US visa, Bassem Tamimi and his supporters decried this enforcement of US regulations as retribution for his leading role in the recently launched lawsuit. In other words, while Tamimi wants to sue US citizens and organizations in a US court, he also wants to be able to keep a US visa he obtained illegally by lying. So if the hope to attract publicity was indeed a major motivation for the $34.5bn lawsuit, it was arguably a rather spectacular “own goal” to select Bassem Tamimi as the main plaintiff. In addition to the Tamimi clan’s longstanding support for terrorism, Bassem Tamimi and his activist family members have tried for years to instigate a “third intifada.” It is particularly noteworthy that they have done much to promote the participation of children and teenagers in violent confrontations with the IDF – indeed, the Tamimis regularly send their own children to provoke soldiers in the hope that any confrontation that might ensue will provide viral images for the media. The shocking and deplorable fact that the recent wave of terror attacks against Israelis has included so many stabbings by Palestinian teenagers is something the Tamimis can now take “credit” for. Unsurprisingly, the Tamimis have eagerly cheered the terror attacks committed in the past few months and have explicitly hailed teenaged “martyrs” on social media. While Bassem Tamimi’s Facebook posts are sometimes in broken English and tend to reflect his efforts to cultivate his image as a supposedly “non-violent” activist, his wife Nariman usually posts in Arabic and clearly feels no need to hide her enthusiastic support for terrorism. 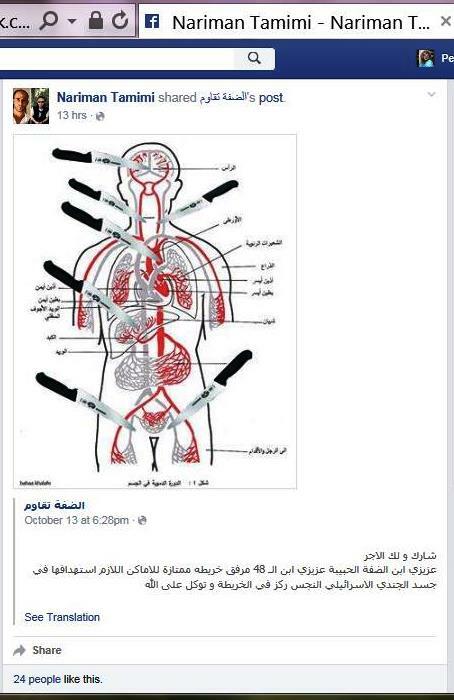 Over the past few months, her Facebook page featured countless posts inciting and applauding terror attacks — including the stabbing instructions pictured below. Just when her husband made news as the main plaintiff in the lawsuit targeting US-based supporters of Israel, Nariman shared a post glorifying the terrorist who fatally stabbed US Army combat veteran and Vanderbilt graduate student Taylor Force on March 8 in Jaffa. Two weeks earlier, Bassem Tamimi betrayed his own extremism by sharing a video clip from 2014 that praised the Lebanese terror organization Hezbollah and its leader Hassan Nasrallah for putting “Arab rulers” to shame by fighting and speaking “against ISIS and Israel”. It is truly revealing that Tamimi would admire an Iranian proxy force fighting for Syria’s Assad, who is largely responsible for a five-year war that has claimed the lives of almost half a million Syrians, with an estimated 1.9 million injured and a staggering 45% of the population forced to abandon their homes. Apparently it didn’t even bother Tamimi that thousands of Palestinians had to endure starvation and bombings in the besieged Yarmouk camp near Damascus. So Martin F. McMahon & Associates may be “proud” to represent “Tamimi et al. 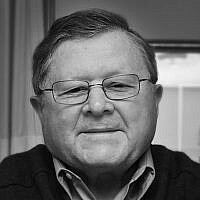 v. Adelson et al.,” but their claim that the case is about “violent settlement activities in occupied Palestine” won’t fool anybody who knows the record of the Tamimis of Nabi Saleh: they want to see the world’s only Jewish state replaced by yet another Arab-Muslim ruled state, and any terror group or terror attack devoted to this goal will be cheered and supported by the Tamimi clan that has already produced several murderers. At the time of this writing, McMahon & Associates proudly lists* the press coverage for Tamimi et al. v. Adelson et al. – including an article at the Islamist site Middle East Monitor. At the very same site, one can also read a glowing tribute to two Tamimi murderers – Nizar Al-Tamimi and Ahlam Al-Tamimi – who found enough common ground in their murderous hate for Israeli Jews to get married after being released in the Shalit deal. For a photo of Bassem Tamimi with his arm around his murderous nephew Nizar (who was then already engaged to their murderous relative Ahlam) you can check out this blog post written by Arnold Roth, whose young daughter was among those killed in the Sbarro pizzeria bombing that Ahlam Tamimi planned and prepared. In another post, Roth documented the enthusiasm of Bassem Tamimi’s wife for Ahlam Tamimi. As I have shown in detail, Bassem Tamimi has often emphasized the important role of women in the “resistance,” and there is plenty of evidence to support the conclusion that he admires Ahlam Tamimi no less than his wife does. In short: the defendants in Tamimi et al. v. Adelson et al. are being sued by a group led by a supporter of terrorism who wants to see the world’s only Jewish state eliminated and who now hopes that US courts will help him to achieve his longstanding ambition. * Archived here: http://archive.is/bI8vQ ; research and translations for material in Arabic by Ibn Boutrous. Petra Marquardt-Bigman is a politically homeless lapsed leftist who can’t get used to living in a time when the Nazi slogan “The Jews are our misfortune” is considered quite acceptable in its 21st century version “The Jewish state is our misfortune.” She therefore writes mostly about antisemitism, anti-Israel activism and BDS, i.e. Bigoted Double Standards. 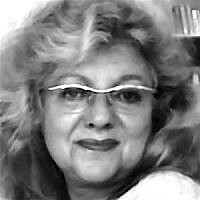 She grew up in Germany and has a Ph.D. in contemporary history.